Languages are evolving all the time, with old words going out of fashion only to be replaced by new words created to better explain the world around us. Technology is the source for many of these new words, which is unsurprising given that technology changes at a rapid pace. Not all of these newly penned words Those Crazy Web Words And Phrases Explained Those Crazy Web Words And Phrases Explained There have been more new words invented in the last decade than ever all thanks to this new fangled "internet" thing. It's easy to see how us old folks - and by old I mean... Read More make it into the dictionary, but lexicographers keep tabs on them all in case they become so ubiquitous that they eventually earn a place in new editions of printed dictionaries. The following 10 words, all related to technology, are amongst those recently added to the online version of the Oxford English Dictionary. And, who knows, one day they may also be added to the paperback tomes our descendants scour in the centuries to come. Verb: To watch multiple episodes of a television show in one sitting. Usually on DVD/Blu-ray or via streaming services such as Netflix. This is such a widespread practise these days that we previously wrote a short guide to binge-watching A Short Guide To Binge-Watching [Weird & Wonderful Web] A Short Guide To Binge-Watching [Weird & Wonderful Web] Netflix and Amazon Prime Instant Video have turned binge-watching into a mainstay of the mainstream. Before you begin binge-watching TV you should arm yourself with some important information. This short guide helps. Read More , which we advise you to read immediately after finishing this article. If you have time between episodes of Breaking Bad. Obviously. Well, the Android experiment failed. After one week the HTC One bricked itself. Back to iPhone 5. Everyone can stop worrying about me now. Verb: To break a device to the point it will no longer work. Usually used in reference to a smartphone. If you do anything that kills your smartphone stone dead with no chance of it being revived it’s about as useful as a house brick. Hence the explosion in popularity of this particular expression. Verb: To lure a stranger into an online relationship by pretending to be someone or something you’re not. This term began with the 2010 documentary Catfish, which has now become a (crap reality) show on MTV. It’s used to refer to the art of being taken in by someone online. Which is more common than you may think. It’s a little harder to maintain a glib anti-clickbait stance when you know what people actually read. Noun: An article online written purely to get traffic. The content itself is often immaterial, with the headline being the main lure. This is another subject we have previously explored, when we looked at the most egregious examples of clickbait Buzzworthy: 5 Clickbait Headlines Guaranteed to Annoy [We Ask You Results] Buzzworthy: 5 Clickbait Headlines Guaranteed to Annoy [We Ask You Results] You may consider the headline of this article to be clickbait. But it isn't, honestly. Read More seen online. Clickbait is now so common that The Onion started Clickhole Don't Tear Up On Clickbait -- Cull It With ClickHole From The Onion [Weird & Wonderful Web] Don't Tear Up On Clickbait -- Cull It With ClickHole From The Onion [Weird & Wonderful Web] You will have clicked on clickbait at some point, whether or not you're aware of having done so. The practice has recently evolved into something much more insidious and annoying. Enter ClickHole. Read More to fight the good fight against it. Noun: A person who cancels their cable television subscription in favor of using online streaming services instead. The more people who cut the cord the more likely it is that cable companies will realize they need to change their pricing policies. Because right now they’re forcing people to pay a fortune for crap they don’t want to watch. Verb: To publish private information about an individual without their consent. Refers literally to “docs” as in documents. 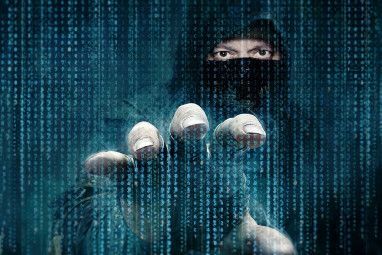 Doxing is usually undertaken by vigilante hackers trying to out people who they consider to have done wrong. 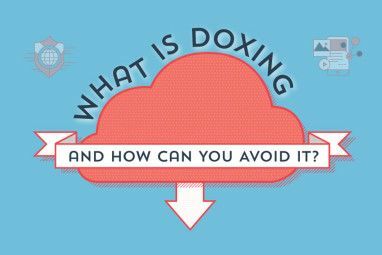 Oftentimes they have indeed done something wrong, but there’s still a debate to be had over whether doxing is moral. Adjective: The state of the world thanks to the number of devices that are connected to the Internet. You know you’re living in a hyperconnected world when even your toaster is hooked up to the Internet. My toaster isn’t yet online but we fully expect one that is to pop up in our Smart Home section any day now. If Buzzfeed doesn’t create a listicle of what they will blow $50 million on, the entire site is a lie and I want my money back. Noun: An online article that is presented in the form of a list. This post could legitimately be considered a listicle, but here at MakeUseOf we try to offer more value than the few choice words some sites write in relation to an endless and unoriginal collection of GIFs. Naming no names. Verb: To tweet about an event as it happens. The event being live-tweeted can range from the Academy Awards as it’s being shown on TV, to a newsworthy incident happening in your neighborhood. The latter obviously has more value than the former. I still don’t understand what trackbacks are on WordPress. Seems like really unproductive spam. Noun: A notification that someone has linked to your article or blog post on another website or blog. Domains often live or die by the number of other sites linking to them, so trackbacks offer an automated way for a website to keep tabs on their popularity. This is a subject so boring I couldn’t even think of a witty ending for this paragraph. What Words Should Be Next? This is just a smattering of the words recently added to OxfordDictionaries.com, but even those hardy wordsmiths will have missed a few new possible additions. So, what word or words would you like to see added to the dictionary next? There are no right and wrong answers here, especially in a world where “amazeballs” and “ermahgerd” are both legitimate words. Apparently. 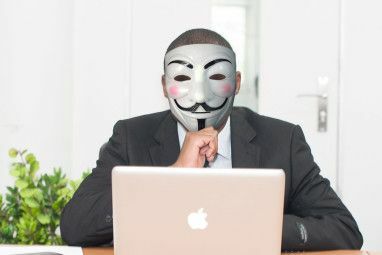 However, if you use those two, or any of these words that need to die in a fire Kill It With Fire: 10 Internet Expressions That Need To Die [Weird & Wonderful Web] Kill It With Fire: 10 Internet Expressions That Need To Die [Weird & Wonderful Web] Languages are forever evolving. Some new words and phrases are readily accepted into common parlance. Others remain confined to the Internet, where they are often overused to the point that they need to die. Read More , kindly remove yourself from my sight immediately. How about concentrating on learning a proper language (written and oral) - either English, or whatever other languages used by nations in our world? And along with that - hand-writing, not just typing? 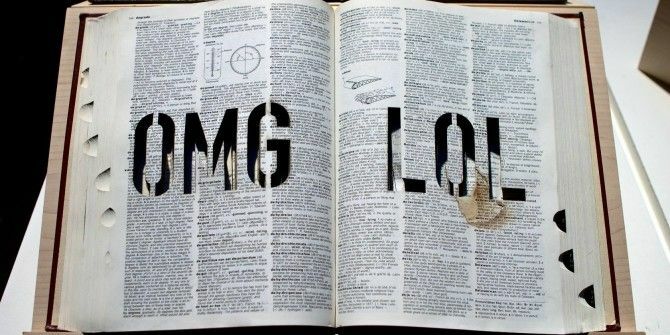 Are we so busy or so lazy to spell out "Oh my God" instead of "OMG"? Does anyone envision a literary art ofthe future written with these stupid acronyms? Trackback is very 2006-ish, back when people read news from blogs more than tweets or FB feeds.